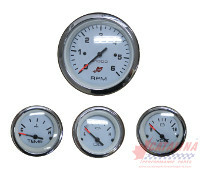 Gauges: 127005WC - Tach. Oil press. Volt, Water Temp. Kit, White Chrome. from California Marine. Description Tach. Oil press. 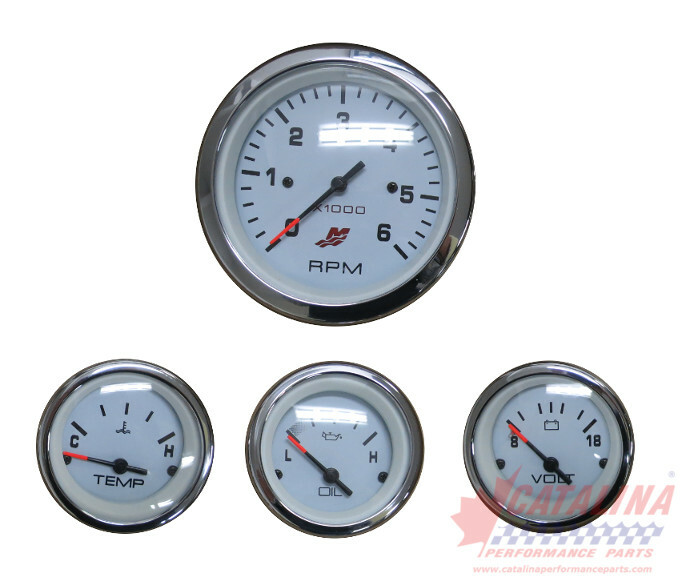 Volt, Water Temp. Kit, White Chrome.